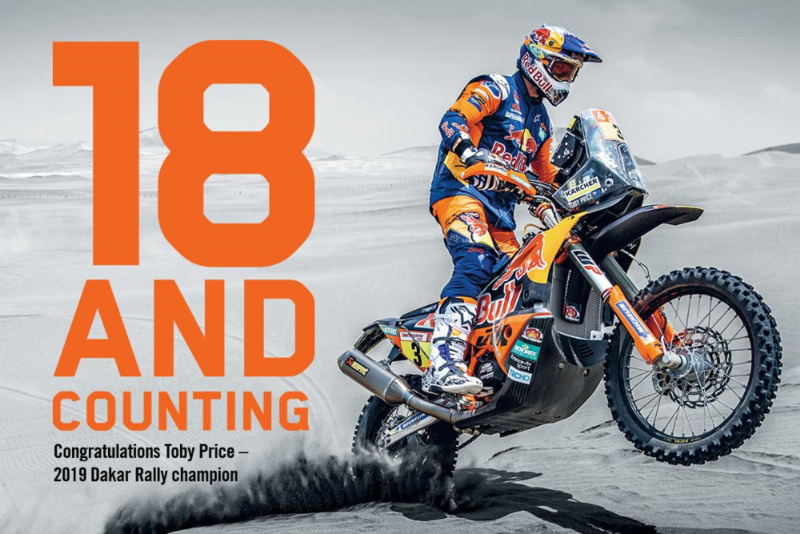 Toby Price has done it again - claiming his second Dakar title in Peru after a gruelling final stage which began with just a minute separating him from rival Pablo Quintanilla. This was no easy feat for Price, who just weeks ago broke his scaphoid bone in his right wrist. "The pain and torture has been worth it" stated Price, "it feels like there are about five people driving a knife in my wrist. It's not very comfortable." Quintanilla found himself in a spot of bother in the final stage, crashing out and injuring his foot in the process. But what will become of his trademark hairstyle? Price engaged in a wager with long-time friend and KTM teammate Laia Sainz that if he were to finish higher than 5th, he could kiss Sainz. However if Laia finished better than 15th, she could cut off Toby's mullet. 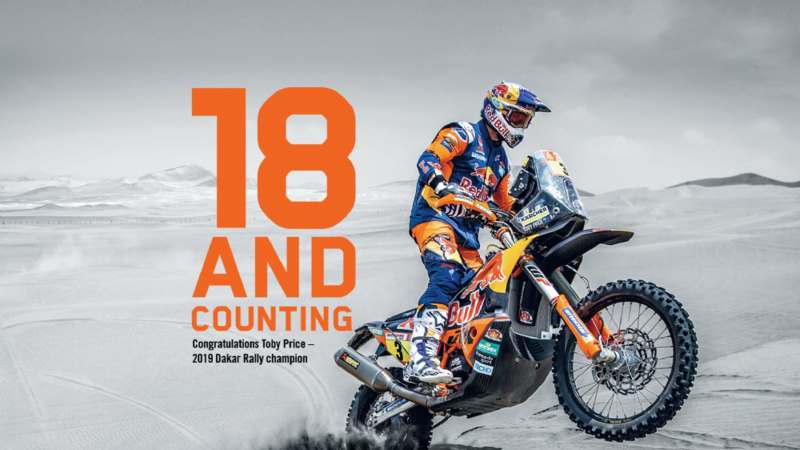 Sainz is no stranger to the Dakar, having competed in 9, with 5 top 20 finishes; while Price has only competed in 5. She was also in less-than-ideal health, recovering from Q fever which had her sidelined for the majority of 2018. A truly incredible victory from an incredibly talented Australian, especially considering Toby himself predicted he wouldn't last two stages. Congratulations Toby, Laia, and KTM - we look forward to the haircut!